Picking up from where Automatic Stay in Bankruptcy: What You Need to Know (Pt. 1) left off, below we will continue our discussion of important information you should about automatic stays in bankruptcy when you may be considering moving forward with this debt relief option. For automatic stays in bankruptcy to remain in effect, courts have to accept bankruptcy petitions. Contact Arthur Lindquist-Kleissler to start your case today. In the same way that automatic stays in bankruptcy can offer you court protections from creditors (as discussed in the first part of this blog), they can also effectively protect your assets from creditors. This is because, when you file for bankruptcy, your assets will become part of your “bankruptcy estate.” The idea behind this action is to prevent any single creditor from swooping in and taking all of your assets, possibly leaving other creditors empty handed. Instead, the bankruptcy court (and specifically the bankruptcy trustee handling the case) will retain authority over these assets (and may be responsible for liquidating them as part of the process of repaying creditors as much as possible in bankruptcy). While the automatic stay transitions your assets into your bankruptcy estate, you should know that bankruptcy exemptions can provide more long-term protections for your assets by allowing you to keep certain assets (as long as they do not exceed a certain value). 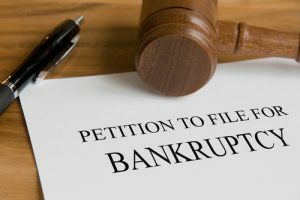 If a court rejects a person’s bankruptcy petition, the automatic stay will no longer be in effect (i.e., it will no offer a person court protections). Creditors can petition the courts to try to have automatic stays lifted. When automatic stays have been lifted by the courts, creditors can once again resume their actions against borrowers (i.e., repossessions, foreclosures, garnishments and lawsuits). The best way to ensure that the protections of automatic stays remain in effect and that bankruptcy will effectively discharge your debt is to work with Denver Bankruptcy Lawyer Arthur Lindquist-Kleissler. At Lindquist-Kleissler & Company, LLC, our Denver bankruptcy attorney tailors his services the individual client’s needs and the specific circumstances of a case. This means that our clients can always count on us to bring a fresh perspective to their bankruptcy matters and to examine non-traditional options for their cases. Regardless of the specific services provided, one of the factors that never changes is Mr. Lindquist-Kleissler’s commitment to helping each of his clients resolve their financial issues as efficiently and favorably as possible. To set up a free 30-minute consult, contact us by calling (303) 691-9774, or email us using the form on this page. You will pay nothing up front to obtain trusted, professional advice regarding your case and your options.